While playing in the snow one day at her shrine, the land god Nanami Momozono witnesses her familiar—the fox youkai Tomoe—collapse, with dark markings appearing on his body. Tomoe's former master, Lord Mikage, appears after his long absence and places Tomoe into a magical pocket mirror in order to stave off his ailment. 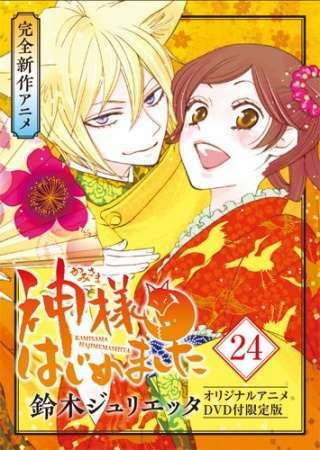 Mikage explains that long ago, before he and Tomoe had met, the fox youkai was in love with a human woman. Seeking to live as a human with his beloved, he made a deal with a fallen god, but he only ended up cursed and dying. When Mikage discovered Tomoe, the god made the youkai forget his human love as a quick solution. However, something has changed recently to reactivate the curse; Tomoe has fallen in love with his new human master, Nanami. Since there is no way to stop the curse, Nanami wants to stop Tomoe from getting cursed in the first place by traveling back through time, even if it means they may never meet. As Nanami travels back hundreds of years to save her precious familiar, she discovers that she is far more closely bonded to Tomoe than she previously thought.